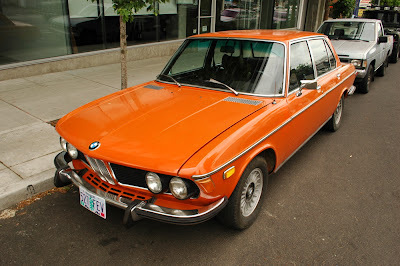 One of the happiest bimmers I've ever seen, would love to see in person, would love even more to occupy any of the seats. I don't know about you guys, but I am tickled that this isn't a 1974. I feel like I see a lot more big bumpered 74s than anything from the early 70s. It's a hard life. How about you save some frickin' Bavarias for the rest of us? That's Bill Neburka's 1973 Bavaria in extremely rare Inka Orange. He bought it in WA state a while back where it was languishing in someone's yard. if you click the "bavaria" tag, you will see his other one! Ah yes, that's the Sahara 73 be bought as a potential parts car (but it's too nice to part out). The third car, a Fjord blue, I keep seeing in Seattle (including at the apartment building in Ballard where you took the photo) but I've never found the owner. 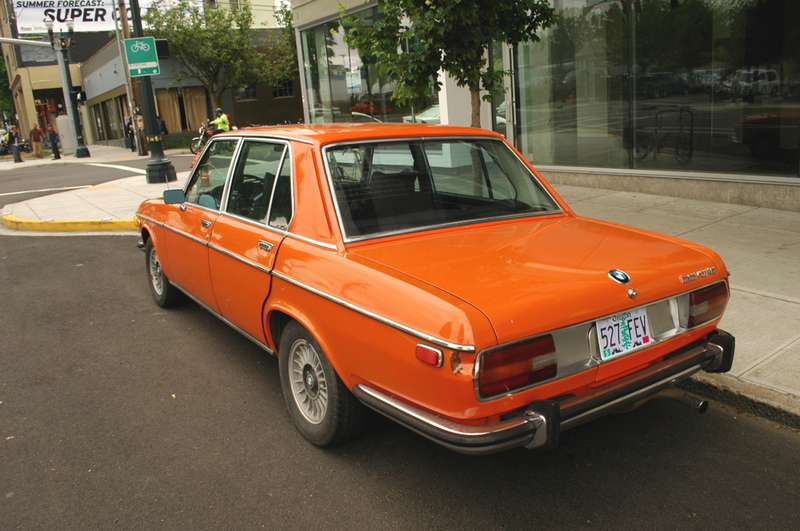 The nicest one is a '69 2500 that's parked (on sunny days only) at a music instrument store (employee's car?) on Fremont Ave in Seattle, it's in amazingly nice condition, Nevada with Tobacco interior. 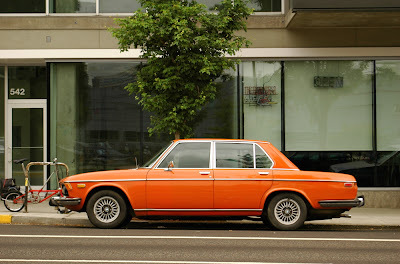 Orange Bavaria? That must be a very rare color here in the US. Awesome! A Bavaria is an american 3.0 ?